Sugarcane, famous for its role in sugar production, is actually a perennial grass and grows for many years. 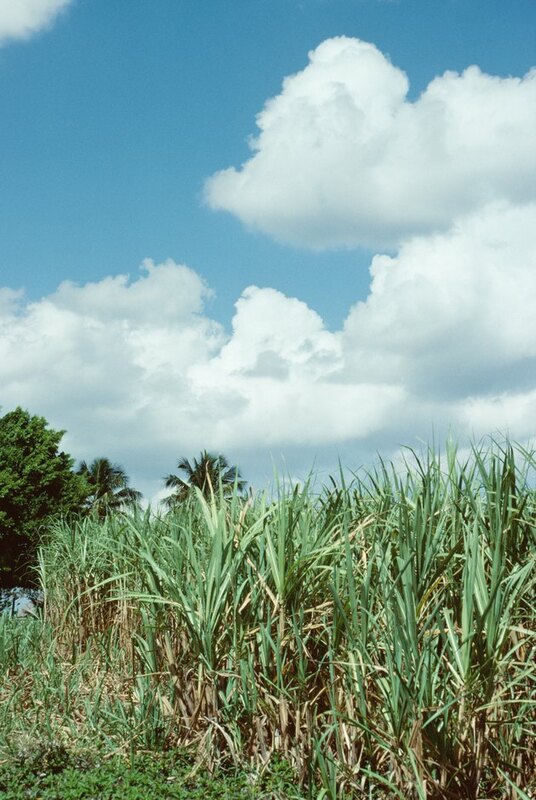 The grass self-propagates and regrows by means of underground buds, so that one blade of sugarcane may produce a new cane every 12 to 14 months. This is a tropical grass, though, and requires warmth and humidity for growth. Keep sugarcane indoors in roomy pots for best growth and protection. 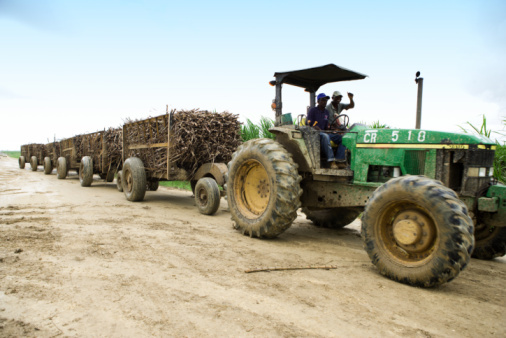 Sugar cane grows best in warm, tropical regions. Use large 5- to 10-gallon pots with drainage holes for sugarcane, which grows tall and heavy and requires efficient drainage. Put the pots in indoor sites with full sunshine and temperatures of 70 to 90 degrees Fahrenheit. Keep the sugarcane away from fireplaces and heating vents, which dry the air. Fill each pot three-quarters full of a quick-draining potting mixture. Use 1 part peat moss to 1 part sand and 1 part bark, or a potting foundation of pure organic compost, to provide both nutrition and moisture. Turn 8-8-8 granular fertilizer into the soil for more nutrition. Plant 2- to 3-foot-tall sugarcane stalks with at least six buds for best success. Slide the canes 3 to 7 inches into the soil, and allot one pot to each cane. Water sugarcane with 1 inch of water each week to maintain subtle soil moisture, and expect new shoots in one to three weeks. Increase to 2 inches of water per week when the shoots emerge. Give sugarcane 8-8-8 or 10-10-10 fertilizer every second month during the growing season to maintain soil nutrition. 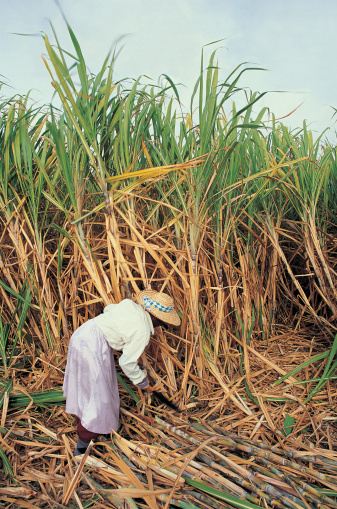 Mix the fertilizer into the top 2 inches of soil around each cane, then water.